Agent confirms NUFC talks as European giants & Premier rivals eye star man – NUFC blog – Newcastle United blog – NUFC Fixtures, News and Forum. 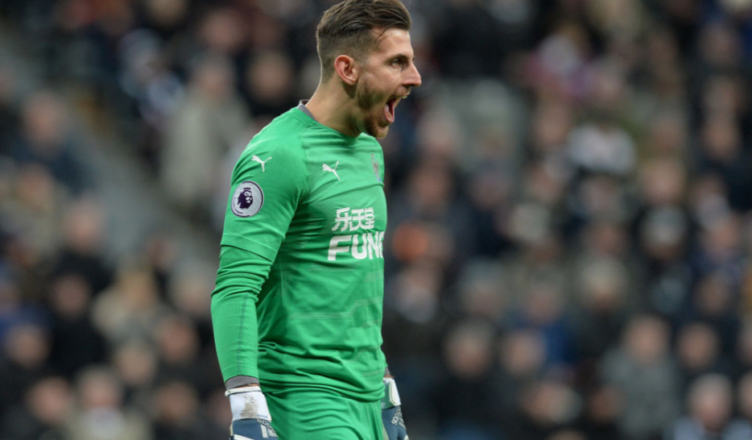 Martin Dubravka’s agent has confirmed that Juventus are tracking the Slovakian stopper – however he insists that his intention is to stay in England, revealing that a new contract is being discussed on Tyneside. This has to be seen as both good and bad news for me, although given interest in him seems inevitable on current form, it’s best seen as great news that all parties are eyeing a new contract and potential extended stay at St James’ Park. “We can confirm that Martin belongs to the Juventus Scout Department’s list of long-term players. However, we must mention that it is not only monitored by Nedved’s Juventus, but there are also Premier League clubs. Our personal tip with my brother is that Martin stays in England. “Our effort, but also Newcastle’s endeavour, is to negotiate a new contract at the end of this season, as Martin came to Newcastle as a virtually unknown Czech league player, but quickly became a major player of the entire team and already has an excellent reputation throughout the English league. “So we are gradually starting to negotiate an improved contract, but of course, on the other hand, we record interest from a number of other clubs in the English league. Martin Dúbravka is in agreement that our goal is to prove as much as possible in England. “Even though interest in Martin from one of the top German Bundesliga clubs has been eminent over time, Martin has told us that he does not feel that his career is going to move towards Germany, that he would like to continue in England, which is the cradle of football and in which goalkeepers already historically privileged. Dubravka may have made the odd error over the past few months, but his response to this setback has been absolutely outstanding, with him not putting a foot wrong ever since. The fact two errors against Spurs and Wolves stood out just shows how few mistakes he’s made since making the big move from the Czech league to the English top flight. He’s shown a calm head, brilliant reflexes, is commanding from crosses, quick off his line and a player who communicates expertly too, constantly barking orders to his back four. It’s great to hear that he prefers to stay in England and that a new deal is being discussed – which could be a deal with an improved wage packet given his current deal runs until 20202 – however interest from ‘several’ Premier League sides and Juventus should be a reminder that our star players may be picked off if Rafa doesn’t stay. Looking at the top keepers in the league – De Gea, Ederson, Alison and Kepa are world class – Lloris is up there too. But behind them – is Dubravka as good as Leno at Arsenal? – I think so, and he cost £22.5m. So I wouldn’t be accepting anything less £15m for Dubravka.